Sidney Allard introduced American drag racing to Europe. 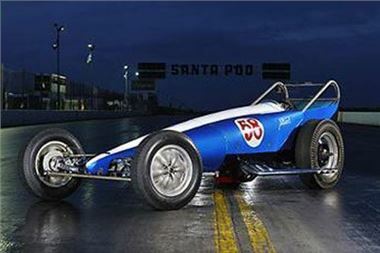 In 1961 he built the first dragster in the UK in the traditional style of an American 'rail' and the car went on to clock mid 10 second ETs and around 150mph for the standing quarter. and a big American presence amongst the competitors. In the 1960s and 1970s there was a massive public enthusiasm with airfields all over the country commandeered for drag racing, including Blackbushe bear Camberley, and the establishment of Santa Pod, the home of UK drag racing where incredible 5 second ETs are now relatively commonplace. this year's Chelsea AutoLegends Festival, which is now one of the country's leading classic automotive events. On Sunday, 2nd September, Europe's first ever drag racer will be one of a multitude of fine machinery on show at the Chelsea AutoLegends Festival in the grounds of the Royal Hospital Chelsea.